The people behind Pogoplug may have raised the price to $100, but they managed to deliver a way to share any USB drive over the internet that's incredibly easy—and it even works with iPhones. One of the main points Pogoplug seems to have focused on is getting the setup process automated to such a point that anyone with the ability to plug in things and click the "next" button on a web page can most likely get this working. That means your parents, your grandparents and your spouse (if you married for looks) can get an external USB drive onto the internet with little to no help from you. 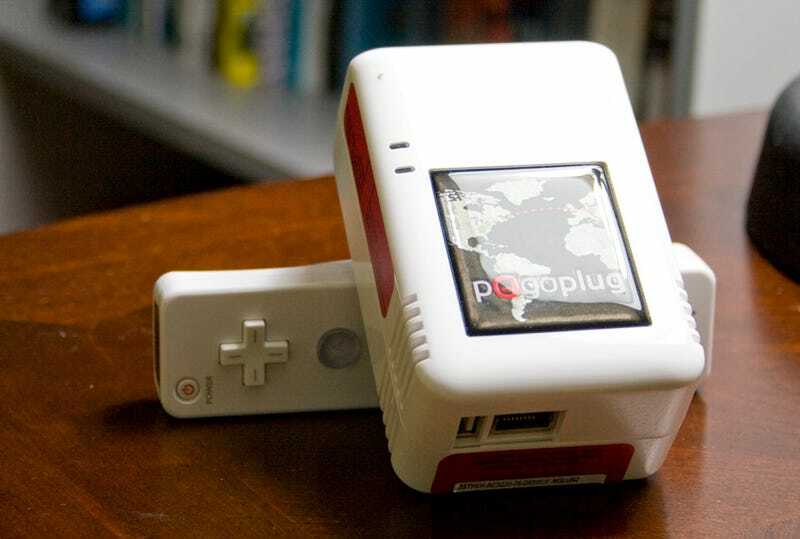 Using Pogoplug is just as simple as setting it up. You, as the account owner, can hit up your Pogoplug.com share from any web browser and upload/download/view files from there. If you're on the same local network as your Pogoplug, it's smart enough to use your Wi-Fi/Ethernet to transfer files faster. There's also Mac and Windows software that loads the share as a network-mounted drive. Other cool things you can do: Grab the iPhone app and stream MP3 files, view JPG files, open PDF/Doc files over Wi-Fi or 3G. If you load your entire music library you can stream your songs, one by one, off the built-in music player. Or, download files locally onto your iPhone. And, you can share anything (it's folder-based) on your drives to anyone else using their email as a unique login. Everything about this is good. We streamed songs stutter-free over 3G onto our iPhones. We can keep important files on there so you can grab them on the go without having to punch through your NAT or set up a dynamic DNS service for your router. We can share large files with people without having to upload them first to a file-sharing site.